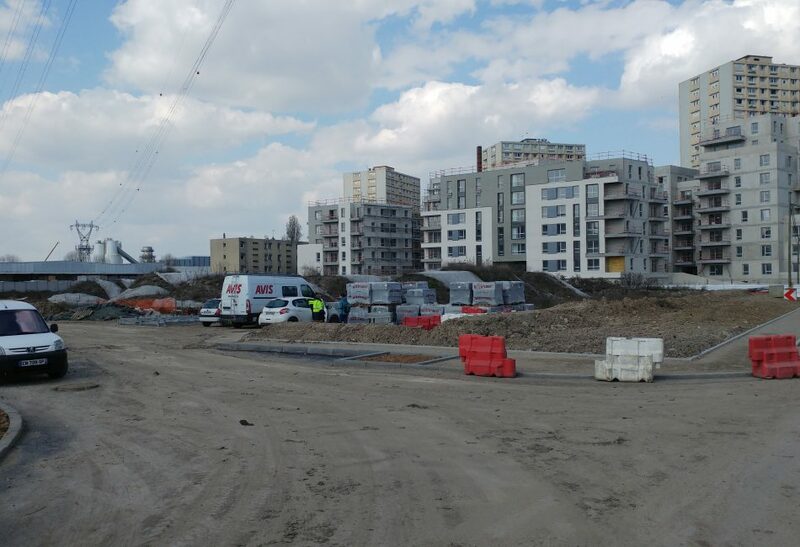 The ex-BHV brownfield site is on the right bank of the Seine, south of the Chantereines neighbourhood and opposite the Ardoines district in Vitry. It is ideally placed, not far from the port of Alfortville and the A86 motorway. It is situated at the interface of an urban fabric of economic activities to the south and a residential area interspersed with schools, shops and services to the north. It is served by the RER D station at Vert de Maisons 1 km away and several bus lines. Its accessibility will be improved by the GPE station at Vert de Maisons and by the construction of a walkway to the Ardoines station. The site has been marked out as being suitable for an innovative project of economic development and landscaped public spaces compatible with the nearby very high-voltage power lines.